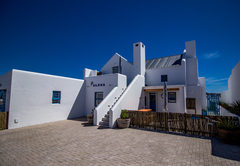 Aloha at Paternoster is a highly recommended property providing self catering in Paternoster for tourists visiting the Cape West Coast region. 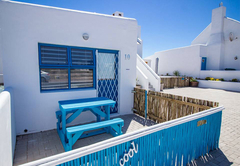 Aloha at Paternoster offers comfortable self catering accommodation in three separate units just 200 meters away from the beach. 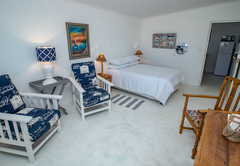 All three units are equipped a TV with DStv and free Wi-Fi. 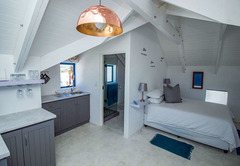 This upstairs open plan studio style loft unit sleeps two guests in a double bed and there is an en-suite bathroom with a shower. 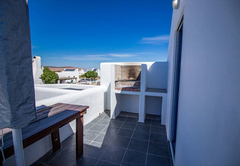 There are partial sea views from the balcony and a braai on the outside patio. 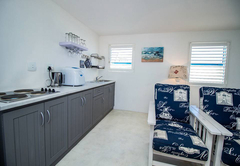 There is a kitchenette, lounge area and a dining table. 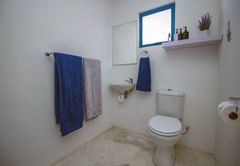 This two bedroom apartment sleeps four guests and has a bathroom with a bath and a shower that is shared by both rooms. 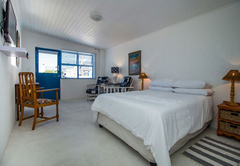 The main room has a double bed and the second room has two single beds. 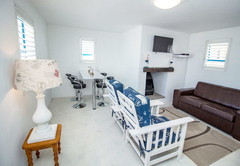 There is an open plan lounge and dining area as well as a kitchenette. 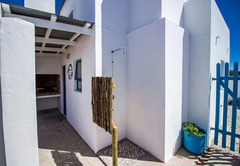 There is partially enclosed garden, and outside shower and an outside braai. 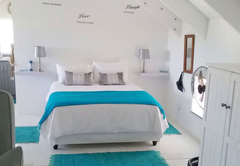 This open plan studio style cottage sleeps two guests in a double bed and has an en-suite bathroom with a shower. 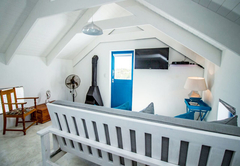 The cottage has a kitchen / lounge area and there is an enclosed outside area with a braai. 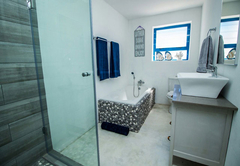 From here you are within easy walking distance of the shops, restaurants and local amenities. 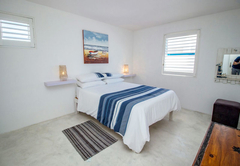 During your stay you can enjoy a multitude of activities, or simply unwind and relax in this peaceful environment. 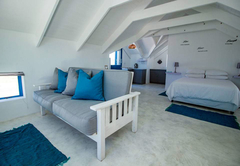 Enjoy your stay with us in the loft with an open plan. Non smoking. Partial seaview. Ideal for honeymooners. Outside braai on a stoep and a balcony. Enjoy your stay with us in the 2 bedroom apartment. Non smoking, pet friendly. Family unit. Security shutters and a bit of an enclosed garden. Outside braai, outside shower and outside enclosed area. 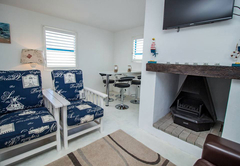 Enjoy your stay with us in the open plan cottage. Non smoking, pet friendly. Outside braai. Enclosed outside area. Perfect getaway. Will definitely be going back. 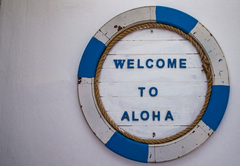 Response timeAloha at Paternoster typically responds to requests in 5-10 minutes.